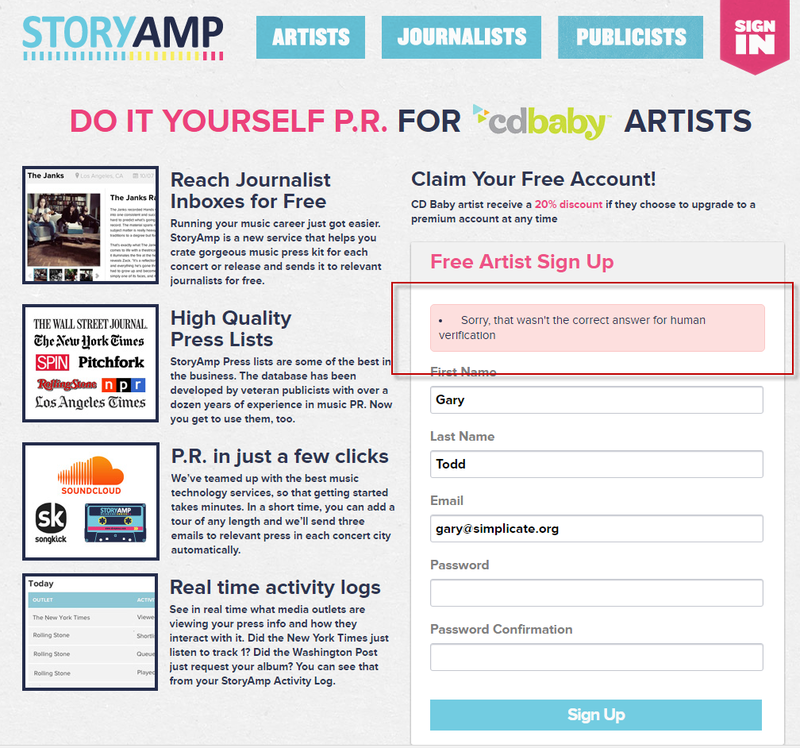 I cannot sign up to Story Amp as a CD Baby Artist. I keep getting the error message 'Sorry, that wasn't the correct answer for human verification'. For the record, I entered a password twice, and there was not additional verification visible. There are some extra benefits of having an upgrading membership with this account.The people want to write my paper on the various aspect of the event. There is currently a bug in the system for the CD Baby discount page (which we will hopefully have resolved soon). However, if you could expand more on what you're wishing to accomplish, I would be happy to accommodate you. Are you wanting an upgraded account (Premium) with the 20% discount as a CD Baby artist? Happy to help, just let me know what you're needing!